Kingdom Hearts fans have had to wait a very long time for the latest title in the franchise and it is here. Sony is celebrating this milestone with a limited edition Series A Walkman. The Walkman isn’t a new product for Sony of course. It is one of Sony’s most iconic cassette players and was first released way back in 1979. This particular one doesn’t require cassettes like the vintage ones, though. But it can hold plenty of songs with its 16GB of internal storage. 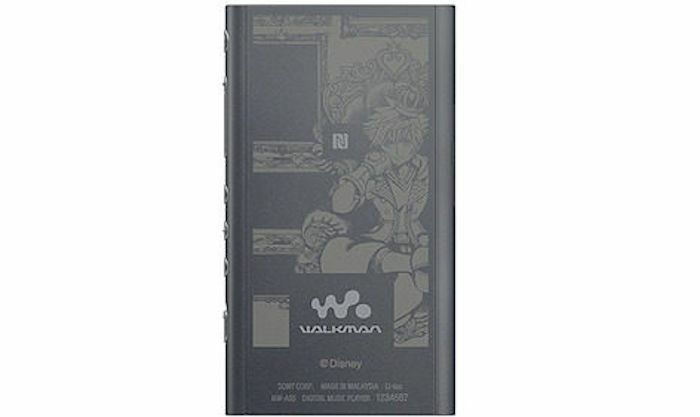 Now fans of Kingdom Hearts can get the limited edition NW-A55 Series A Sony Walkman with a unique Kingdom Hearts 3 design. The game’s Sora is featured front and center in the design. Sony isn’t just offering a limited edition Walkman to celebrate the launch of Kingdom Hearts 3. It is also offering limited edition WH-H800 h.ear on 2 mini wireless headphones that have Kingdom Hearts 3 decals. The decals highlight many of the symbols from the game, including a Mickey Mouse head. Sony is selling the Walkman and headphones through its Japan website for about $260 and $220. If you just want to play the game and don’t care about extras like this, you can get Kingdom Hearts 3 on the PlayStation 4 right now.